The under-construction Kartrite Hotel and Indoor Waterpark is expected to open in March of 2019 and attract 500,000 visitors annually. This will be a great addition to all that Catskills has to offer! Congrats to our client, Ken Ellis, on this exciting project! Nearly $200 million. That’s the newly unveiled cost of the Kartrite Hotel & Indoor Waterpark, which attracted a who’s who of Sullivan County movers and shakers on Tuesday to hear about the park’s construction progress. More than 230 came to the Resorts World Catskills property in the Town of Thompson to see the partially completed water park’s exterior and hear about the attractions that the park’s backers expect will lure 500,000 visitors annually, beginning in March. The Sullivan County Partnership, a nonprofit promoting the county’s economic development, and the Sullivan Catskills tourism bureau organized the event. And it was a celebration of just how far the water park has come. In 2010, developer Louis Cappelli lost much of the former Concord Resort property where the new casino and the future water park sit. After Cappelli defaulted on a loan from EPR Properties and lost a lawsuit, the giant Kanas City-based real estate trust seized roughly 1,700 acres. 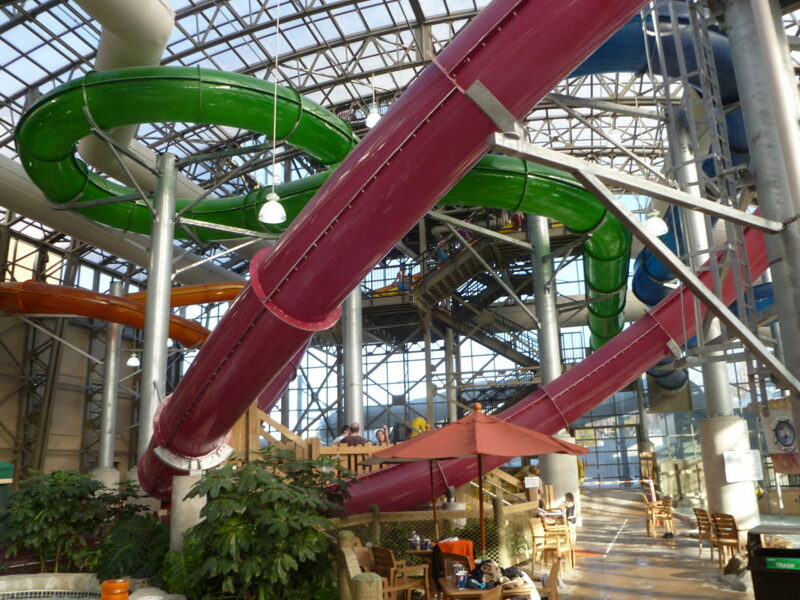 Five years ago, Ken Ellis and Arthur Berry III, the operators of the Camelback Resort in the Poconos, another EPR-owned property, toured the Kiamesha Lake site and mulled creating the water park, with EPR as the principal investor.